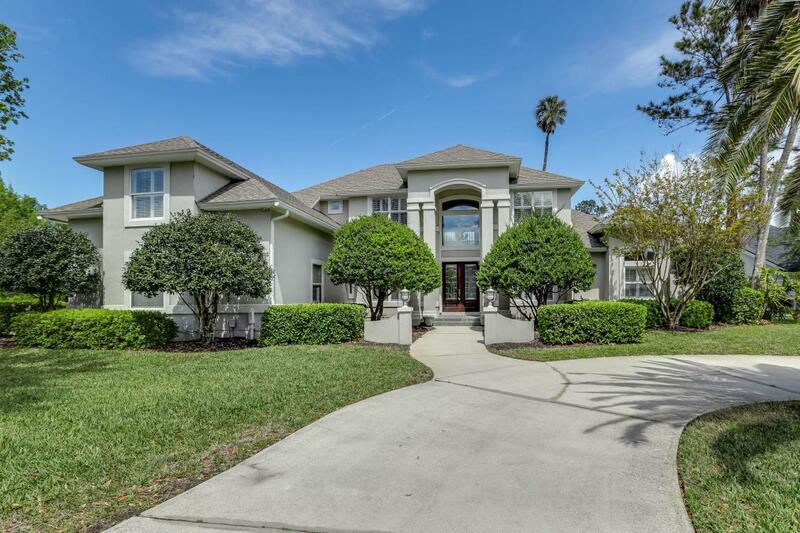 Gorgeous Family Home in desirable Marsh Landing. This home features circlular driveway, 5 bedroom and 5 baths, Gourmet kitchen with eat in area, stainless steel appliance, granite counter tops and breakfast bar. Open and oversized family room w/ fireplace. Guest suite w/ private bath and entrance from 3rd car garage. Master bedroom large enough for sitting area, exit to lanai and pool. Private master bath w/ soaking tub, dual vanities & his/ hers closets. Flat screen TV in master will stay. Upstairs laundry room with washer/dryer. Formal dining room and living room. Upstairs has great room and two large bedrooms off of it both with private baths. Plenty of storage, 5th bedroom or another bonus room. Beautifully landscaped lot backing up to water. Great for entertaining.